Dependable, secure content access. Accessing files from any device and anywhere. 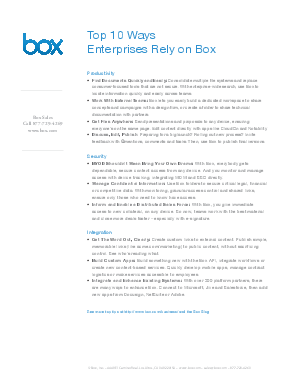 These are a few reasons why enterprises are relying on Box.